It is one thing to know the grammar rules – it is another thing for them to come naturally when speaking. And in my opinion, the only way for it to come naturally, is to have thought about the rules thousands of times through examples – thinking it in your head, saying it out loud, seeing it written, writing it out yourself. A personal example of this is when I studied the movie Das Leben der Anderen in one of my German classes. The title of the movie directly translates to “The Lives of Others.” “Das Leben” means “the life” in English and is neuter and nominative. 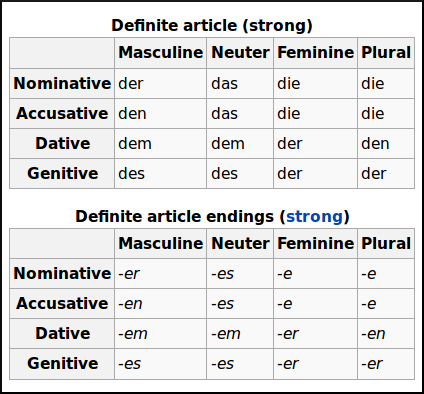 “Der Anderen” means “others” in English – but takes a possessive form because it is written in the genitive form. The reason I bring up Das Leben der Anderen, a highly-acclaimed 2006 movie which won the Academy Award for Best Foreign Language Film is to bring up its content – the East German police, or the Stasi. After watching the movie, reading Was bleibt by East German novelist Christa Wolf about being watched by the police, and discussing it in class with my professor from Germany, I developed an interest in learning more about the East German state. 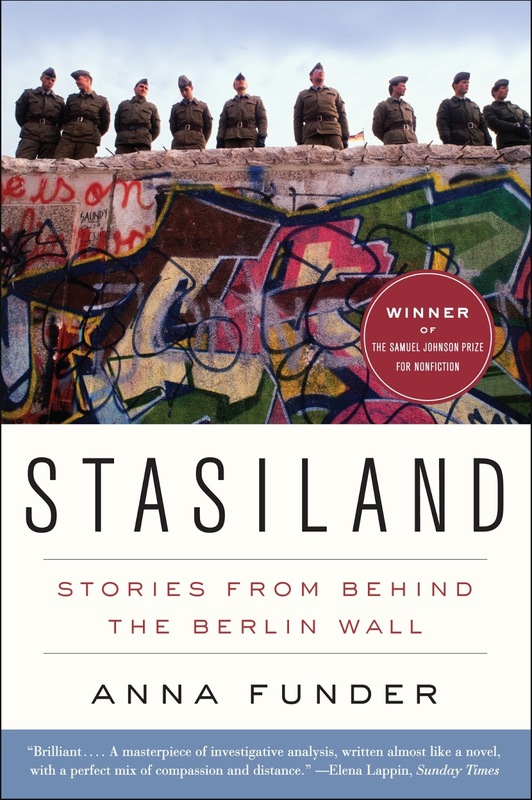 I decided to continue this by reading Australian native, Anna Funder’s book, Stasiland: Stories from Behind the Berlin Wall. “Whatever their personal histories and private allegiances, the people living in this zone had to switch from being rhetorically, at the very least, Nazis one day to being communists and brothers with their former enemies the next.” (page 161): Reading this quote, I realized that I never imagined what sort of identity crisis the East Germans must have experienced. Immediately from being integrated into Hitler’s Germany (with all of its symbols and practices), the people must suddenly adopt the socialist motto, symbols, and practices. “And almost overnight the Germans in the eastern states were made, or made themselves, innocent of Nazism. It seemed as if they actually believed that Nazis had come from and returned to the western parts of Germany, and were somehow separate from them – which was in no way true.” (page 161): Being in Berlin, I have heard from many sources that neo-Nazi activity rose after the East was integrated with the West. Even now, I have heard not to enter certain neighborhoods in the East of the city because the neo-Nazis live there and have been known to be disruptive. I have never experienced any of this for myself, but wonder if Nazism was suppressed in the East during the East German times, and never dealt with properly, giving opportunity for it to reemerge. 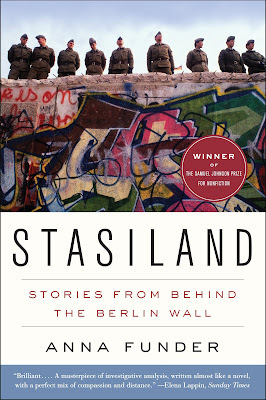 “Stasi men are by and large less affected by the unemployment that has consumed East Germany since the Wall came down. Many of them have found work in insurance, telemarketing, and real estate. None of these businesses existed in the GDR. But the Stasi were, in effect, trained for them, schooled in the art of convincing people to do things against their own self-interest.” (page 202): I found this interesting – not so much because it initiated an academic study or idea – but rather because it reinforces a truth: Those with power, education, and/or money, even if gained through illicit means, fare better than those without, even if they are good and honest. I've been reading your blog and noticed that you're interested in learning foreign languages. Perhaps you would* like to test our website (German classes in Chennai) which supports learning new languages? Wonderful article. keep posting... Linux Training Institute in Chennai | Linux Training Institute in Velachery. Its really an amazing post to German language..I really appreciate your post.. I really enjoyed your post..Very nice.. Excellent post which helps me to get the in depth knowledge about the technology.. Thank You.Thanks for giving valuable time to spend this article.. 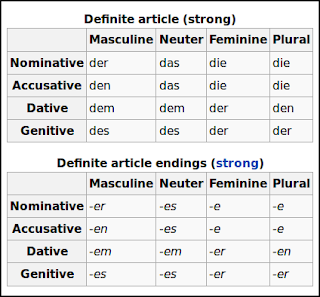 I enjoyed your blog about german language. It's really an amazing blog to read..
• I’d love to be a part of group where I can get advice from other experienced people that share the same interest. If you have any recommendations, please let me know. Thank you. "Devops Training in Bangalore"
Excellent blog which helps me to get the in depth knowledge about the technology, Thanks for sharing such a nice blog.. Thanks for sharing this informative blog with smart and cute content,keep updating such an valuable post..